The pace of digital transformation is accelerating. How do we remain competitive and develop new skills for the ever-changing career market? 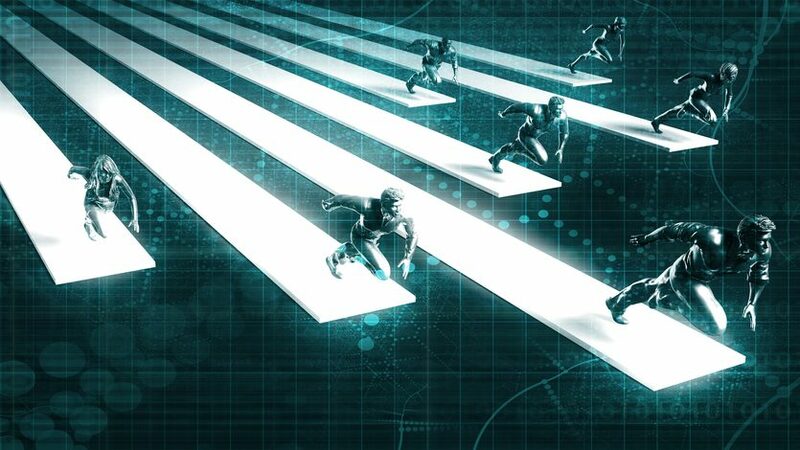 According to a recent study, the pace of digital transformation is accelerating. By 2021, it is estimated that digital transformation will add US$9 billion to Hong Kong’s total GDP, and will increase the growth rate by 0.5% annually. At least 60% of Hong Kong’s GDP will be digitalized, with growth in every industry driven by digitally-enhanced offerings, operations and relationships. Entitled “Unlocking the Economic Impact of Digital Transformation in Asia Pacific”, the study was produced by Microsoft in partnership with IDC Asia/Pacific. It was based on the survey of 615 business leaders from the manufacturing sector across 15 markets in the region, including Mainland China, Hong Kong, Australia, Indonesia, India, Japan, Korea, Malaysia, New Zealand, Philippines, Singapore, Sri Lanka, Taiwan, Thailand, and Vietnam. “The study finds that 79% of jobs in Hong Kong will be transformed in the next three years and 60% of which will be redeployed to higher value roles, or reskilled to meet the need of the digital age,” says Cally Chan, General Manager, Microsoft Hong Kong, in the company’s press release. Digital transformation has been penetrating into every single industry. Employees are beginning to worry whether their jobs will soon be replaced by machines and robots. In terms of job displacement, the report says 23% of new jobs are expected to be created from digital transformation. “Despite the impact on jobs being mitigated, organisations should work on partnering with governments and education institutions to provide feedback, training and reskilling programs so that the workforce is equipped with future-ready skill sets,” says Chan who holds an Executive MBA from The Chinese University of Hong Kong (CUHK) Business School. Facing the accelerating force of digitalisation, how will our workplace be transformed? What kind of impact will it bring to the career market? To answer the questions, one needs to understand the difference between a hardware-centric economy and a software-centric economy, according to Prof. Shige Makino from the Department of Management at CUHK Business School. “In a hardware-centric economy, firms emphasise the importance of teamwork. For a team to work well, all employees need to learn and improve the same level of skills at the same pace,” says Prof. Makino. Under a hardware-centric economy, having ‘star employees’ is not as important as having all employees working as teams who share the same skill sets, commit to continuous improvement, and engage actively in mutual communication and coordination. “In this type of economy, productivity improves while reducing differences among individuals,” he says. In a software centric economy, on the other hand, firms emphasise the importance of specialists in digital technology. Prof. Makino says that digital transformation has shifted our society from a hardware-centric to a software-centric economy. And this shift has a long-lasting impact on the career market. If so, will our existing careers all disappear in a software-centric economy eventually? Prof. Makino is not pessimistic at all, as he sees how the two types of economies can be complementary to each other. 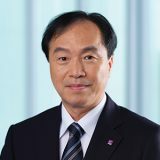 He believes that there will actually be more opportunities for collaborations between established firms and new ventures in future, too. For example, a manufacturing firm with financial resources, logistic infrastructure and a good reputation will benefit from bringing in some cutting-edge technology. Similarly, new ventures creating cutting-edge technology but lacking resources and infrastructure will be able to expand their business by working with well-established, reputable firms. Still, the reality is that some jobs will disappear. “We can foresee the demand for some jobs that can be performed by computers or robots with the advancement of digital technology will become smaller. Some examples of these jobs include recording, reporting, transactions and simple operations. How do young professionals maintain a competitive edge in the accelerating digital workplace? Besides the ability to network, what other skills should they develop to ‘future-proof’ their careers? “They need to develop a solid understanding of management and digital technology. They need to have the ability to connect individuals and firms which can complement each other’s needs. And, last but not least, they need to possess a passion for creating new ideas and a forward-looking attitude to realize these ideas in their firms,” says Prof. Makino.